Research is a fundamental part of what we do at Hamilton Health Sciences. In partnership with McMaster University, we have a decades-long track record of making discoveries that change how healthcare is delivered around the world. Our culture of exploration and innovation has attracted top research talent from across Canada and beyond, and we’re consistently ranked among the country’s top research hospitals. Learn more about research at Hamilton Health Sciences below. 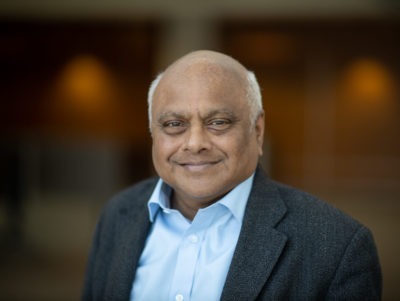 Dr. Salim Yusuf is the Founder and Executive Director of the Population Health Research Institute (PHRI), a joint member of the Department of Clinical Epidemiology & Biostatistics, a cardiologist at the Hamilton General Hospital, and a professor in the Department of Medicine at McMaster University. Dr. Yusuf’s research interests include the prevention and treatment of cardiovascular disease and societal, biologic and, genetic determinants of population health in developing populations. His team's studies are conducted in 86 countries in all of the inhabited continents of the world. 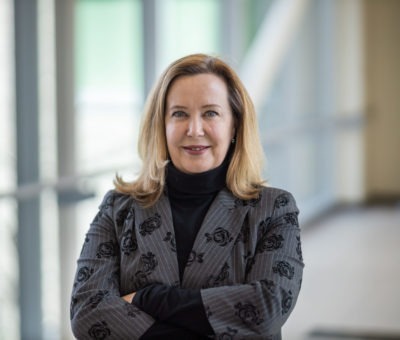 Dr. Carroll is the Vice-Dean, Faculty of Health Sciences and Executive Director of the School of Nursing at McMaster University. She is also an Associate Scientist at the Population Health Research Institute of Hamilton Health Sciences and McMaster University. Dr. Carroll’s research interests include patients’ decision-making, decision support in the context of implantable defibrillators, patient preferences for cardiovascular treatments, and patient reported outcomes in arrhythmia care. Dr. Carroll has received operating funds from the Canadian Institutes of Health Research and the Heart & Stroke Foundation. Dr. Scott brings resources, partnerships and thought leadership to healthcare innovation. 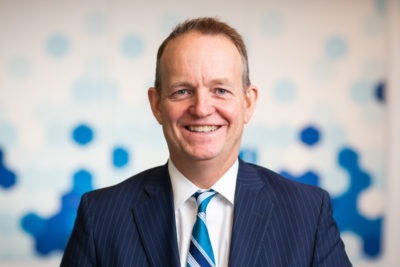 He is Chair of the Synapse Life Sciences Consortium in Hamilton, and was previously Chief Innovation Officer and Dean of Applied Research at Mohawk College, where he studied Radiography and Sonography. Ted is an expert digital health strategist and has a wealth of experience in industry relations and procurement, as well as innovation policy. He returned to HHS where he started his career as a sonographer after working at The Hospital for Sick Children and Huntsville District Memorial Hospital. Ted is a lifelong learner who earned his Masters of Applied Science in Medical Ultrasound and his PhD in Diagnostic Imaging from Charles Sturt University of Australia. Research at Hamilton Health Sciences happens across our many programs and services, and on varying scales. Much of our research is led by our five specialized research institutes. Together, they conduct research that advances patient care by bringing evidence into practice through translation and application in to real-world environments. At Hamilton Health Sciences, our research happens in real-time at the bedsides of our patients and across our many programs and services. That research is supported by world-class infrastructure, including Canada’s largest biobank and a family of research institutes, each with expertise in a unique area which, collectively, cover the spectrum of health and disease. All of our research institutes are operated in partnership with McMaster University. Click on the images below to learn more. Learn more about Hamilton Health Sciences’ research institutes below. A world leader in large clinical trials and population studies, Population Health Research Institute (PHRI) is Canada’s premier cardiovascular research institute. World-class researchers conduct some of the largest studies in the world, spanning all frontiers of the globe and covering a broad spectrum of health-related issues. PHRI’s population science focus examines biological and genetic determinants, as well as social, environmental and policy factors, with an emphasis on risk factors and the prevention of heart attacks, stroke, diabetes, kidney disease and cognitive decline. PHRI has conducted more than 80 global trials and epidemiological studies in more than 1,500 centres, in 86 countries, in all inhabited continents. Visit the PHRI website to learn more. The Escarpment Cancer Research Institute (ECRI) is focused on improving care for cancer patients by focusing on three thematic areas: clinical trials, quality health care and knowledge translation research, and transitional (bench-to-bedside) research. ECRI brings together successful, well-established teams with newly formed cancer research groups in order to embrace and create new opportunities for synergies in research. Visit the ECRI website to learn more. Visit the TaARI website to learn more. Visit the Offord Centre website to learn more. 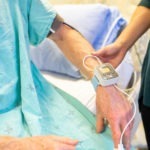 The GERAS Centre is committed to educating and empowering seniors to regain and retain independence and to manage their health through active participation in their care. These new models of care engage family members and build capacity for support within the community. The experts at St. Peter’s Hospital are also dedicated to advancing healthcare education for the present and next generation of healthcare professionals. Through innovative research the GERAS Centre aims to close the gap between knowing and doing to contribute to improved quality of life for seniors. Visit the GERAS Centre website to learn more. The Clinical Research Laboratory and Biobank (CRLB) is a state-of-the-art research facility which provides comprehensive Central Laboratory services to support global clinical studies and innovative research. The facility has the capacity to accommodate 100 large storage tanks, each holding approximately 80,000 vials. Samples in the Biobank are linked to relevant clinical information relating to diabetes, obesity, cardiovascular disease, hypertension, stroke, kidney disease, fractures and cancer. It is the largest research biobank in Canada, with several million samples from around the world which support on-going research at Hamilton Health Sciences. Visit the CRLB website to learn more. We welcome opportunities to collaborate with fellow healthcare institutions and providers, research centres, and other industries on comprehensive research studies and trials that align to Hamilton Health Sciences’ research programs and vision. Find more information about how to collaborate with us on research initiatives below. Hamilton Health Sciences has multiple clinical sites and a rich, collaborative research network. This has helped to accelerate the knowledge transfer process and ensure best proven practices for healthcare delivery. Confidentiality agreements, clinical trial agreements, site agreements, amendments, grant agreements, memorandum of understanding, data sharing agreements, material transfer agreements.